Jawatha Mosque is located near the village of Al-Kilabiyah, about 12km northeast of Hofuf, Al-Ahsa, Saudi Arabia. 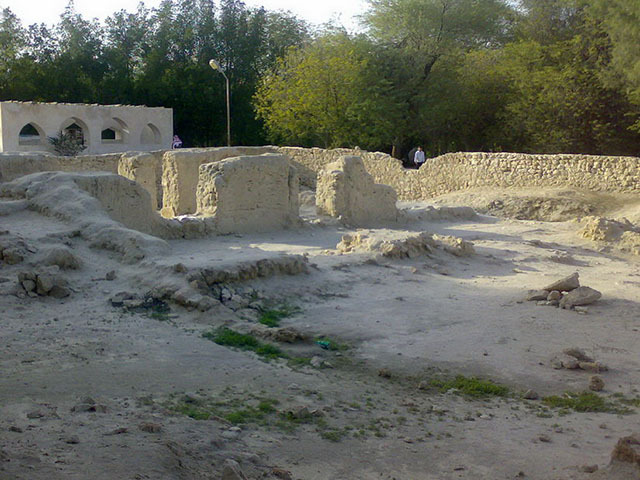 It was the earliest mosque built in east Arabia and most of the original structure is in ruins. The site is still used for prayer. It was built in 629 AD. The mosque was inscribed as a UNESCO World Heritage Site in 2018 as part of Al-Ahsa Oasis, an Evolving Cultural Landscape.